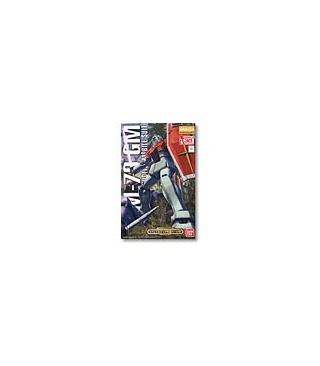 Part of Bandai's MG Clear Parts Campaign in celebration of the 30th anniversary of Gundam, this reissue of MG RGM-79(G)GM Ver.2.0 comes with optional clear armor parts for the sections shown in the photos below. The clear armor parts come molded on one plastic runner. Everything else remains the same as its initial release. Bandai has engineered this piece so that the beautifully gold plated pieces have very fine sprue attachment points to make assembly easy. Just use care in removing the numerous perfectly plated gold pieces from the tree. As usual with a Bandai MG series everything moves via poly-cap joints. Leg and arm armor can be removed. A beautiful kit and a real attention-getter on display.